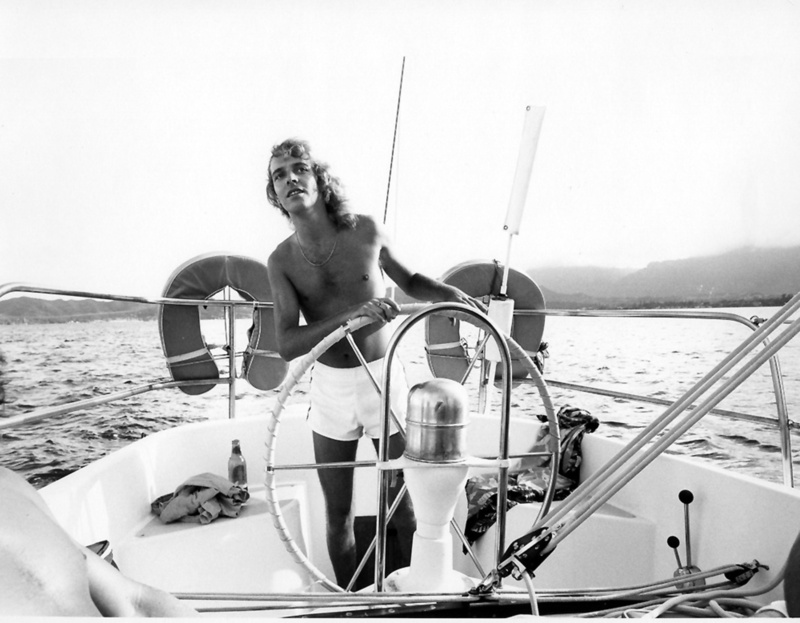 In December of 1978 somehow I wound up on a sailboat in Hawaii with the biggest Rock Star of that era, Peter Frampton. He was the biggest pop star on the planet at the time and everyone, especially the Japanese were clamoring for photos. I took photos in color and black/white and this is my favorite from the session. During the boat ride I did the unthinkable and threw up! Peter and everyone were totally cool and the last time I saw him years ago, we joked about it. You could not meet a nicer person than Peter Frampton.